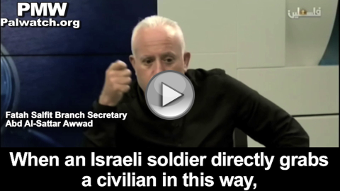 that "cameras are incapable of revealing,"
Israel is well-known for its state of the art inventions and innovations within science, technology, and many other different fields. 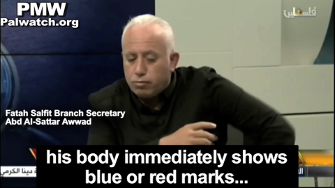 Fatah Salfit Branch Secretary Abd Al-Sattar Awwad: "When an Israeli soldier directly grabs a civilian in this way, his body immediately receives blue or red marks. They have a policy that they can injure in a certain way. They injure a person in this way despite the cameras. The cameras can't reveal this policy that they implement. 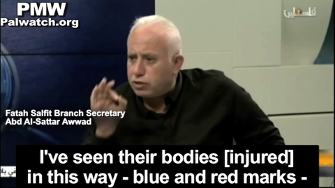 I've seen their bodies [injured] in this way - blue and red marks - by the occupation forces, which the cameras are incapable of revealing."